Take the guess work out of inventory, and researching what’s the next big thing. That’s what On Demand Fulfillment is here for! You’re a pro at marketing, let us ease the pain of inventory and overhead. 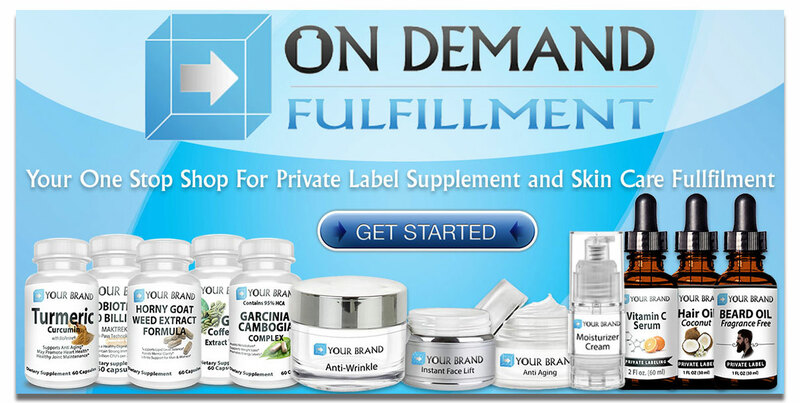 With low monthly subscription fees and inexpensive bottle cost, let On Demand Fulfillment be your one stop shop for Private Labeling, Fulfillment, and Shipping! But don’t just take our word for it, see what some of our customers have said about us. When I first started looking in to private labeling my own Garcinia Cambogia, the overhead was a bit much for me to tackle. Facility costs, insurance, employees, you name it! When I came across On Demand it was a life saver. I only have to pay for what I sell, and I’m not sitting on a ton of inventory! It’s allowed me and my team to focus on marketing our site. We couldn’t be happier with our decision. They made it extremely easy! Brandon E.
These guys are easy to work with, integration with my shopping cart was a breeze. I love not having to spend a lot of money on inventory too! We decided to list all of the products and let our clientele tell us what they are looking for! Thanks again ODF! Sarah R.
Saved us a ton of money up front which is so important when we were starting out. Without On Demand we wouldn’t be where we are today! Elissa M.
We are part of a well known market place, most of the drop shipping options we were looking at would not work with our cart. On Demand Fulfillment made our switch extremely easy, and the products are amazing! Fernando P.